5 Important Ways Your Relationship With Your Mother Affects Your Success – Infinity Marketing – The Small Business Marketing Specialists! Mother’s day is this weekend, so we would like to honor those amazing women with a little blog from, Laura Garnett! The root of your psychology and how you orient yourself towards success is more connected to your mother than you may realize. As we approach Mother’s Day, it is natural to reflect on all the wonderful things that your mother has given you. At the very least she gave you life, and that is a pretty powerful gift. 1. Your mother’s relationship with her career: Was your mom career orientated? Or did your mother give up her career or not have one in order to be a full-time mom? Or was motherhood her chosen career? The bottom line is that your mother’s relationship with her career is very telling of her commitment to both motherhood and career in itself. These are the messages that she unconsciously gave you about your own career. Dig into your past, and see if you can see yourself through your mother’s career lens. Your own view of success could be a carbon copy of your mom’s depending on how forceful she was with you. Review her life, how she is lived, and the choices she has made. Have you unconsciously adopted the same views? 3. 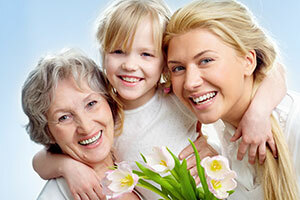 Her behavior around achievement: Was your mom an achievement junkie? Did she seem more approving of your achievements than your inherent characteristics? Or was she doing the opposite? Your own perception of achievement has roots in what your mother’s was, so figure out what that was and compare it to your own today. You may be surprised by the similarities. Look at how you currently support other people. Is it similar to your mom’s? How you were supported is embedded into your psychology, and becoming aware of this can be a fascinating exercise. 5. Her relationship to security: This a big one, based on The Attachment Theory which originates from the work of psychologist John Bowlby (1958). He defines attachment as “lasting psychological connectedness between human beings.”Your attachment to your mother is rooted in her own relationship to security. If she is secure and not fearful, you feel more comfortable being on your own and not worrying about her. If she is not secure and is fearful, she may have been overprotective or demanded more care and attention from you in order to feel ok.
Often we aren’t aware of our psychology unless we have benefited from therapy or working with a coach. However, when it comes to your career and achieving your goals, knowing your psychology and unconscious associations to success can be a game-changer. You can only become who you want to be when you know the depths of who you are. Laura Garnett helps business owners and CEOs develop a personalized leadership and performance strategy by identifying their zone of genius. Learn more at LauraGarnett.com.